Need to Know Knee Info! Luxating patella, or “floating kneecaps,” can be a very painful condition in an animal, potentially requiring surgical intervention. In our practice, however, we see several clients diagnosed with severe luxating patella that have opted to go the alternative route before turning to surgery. Very rarely have these clients ended up turning to surgery because they do everything possible as far as prevention and protection. Floating kneecaps are more often a surprise than anything else - they seem to pop-up out of nowhere. One minute your pooch seems to be doing fine and running around like normal and the next they’re standing in the backyard with one leg hiked up high. One minute later she's back to running around like crazy as if nothing even happened. You likely just witnessed the “floating” part of the floating kneecap. When the leg gets hiked up, it is the pet’s way of dealing with a kneecap that has popped out of place. After it slips back into its proper groove, the leg comes back down and all returns to normal. At the first sight of a luxating patella, it’s time to start looking into what you as the owner can do to help your pet. Though she may not seem in pain, a luxating patella can easily turn into a painful condition as your pet ages. The constant popping in and out of the kneecap will cause wear and tear on the tibiofemoral joint and the cartilage will likely be whittled down to nothing, while excessive amounts of arthritis forms. In addition, the joints above and below often compensate for the floating kneecap and they, too, form unwarranted arthritis, thus aging your pet at an alarming rate. What Alternative Measures Can I Take? Keep your pet's weight appropriate. Integrate a joint-supportive supplement that includes MSM, glucosamine, and chondroitin. Keep exercising your pet to maintain strength and decreases inflammation. 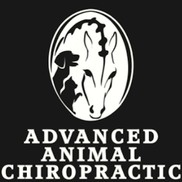 Find an animal chiropractor and acupuncturist. Include core exercises into your weekly routine. How Can an Animal Chiropractor Help? Most importantly, chiropractic will maintain proper alignment and mobility in the spine and extremities. When a specific joint is under-performing, it can lead to other joints overcompensating. Through chiropractic, a state of stability and normalcy can be maintained, while the muscular system strengthens and stabilizes during core exercises and daily motioning. Luxating patella is a condition that can absolutely be alleviated by considering your alternative options before more drastic surgical ones. Do not be intimidated or scared into thinking you do not have options, because you do. There’s much that can be done before all has been exhausted and most of the time this is exactly what your pet needs. What is imperative is noticing that a problem exists and then doing what you can to fix it in a timely fashion. With luxating patella, timing is very important. If you wait too long your animal can suffer any number of other conditions such as arthritis, hip and ankle problems, gait changes, and cruciate tears. Consider a session with Dr. Christina Cole if your pet is exhibiting these symptoms and you'd like extra support to help your pet's comfort. Call us at 248-548-3448 to find out more.